My order was taken,filled and shipped within a hour! My new strings arrived within a couple of days! You folks have been so helpful and dedicated to meeting my needs it's inspiring! Thank you for the awesome job you do!!! 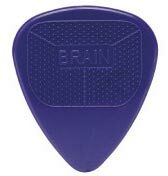 Snarling Dog picks stay put. They don't look any different than other nylon picks I have used but they stay put. I'm not constantly reaching down to pick them up off the floor. Fantastic pick!